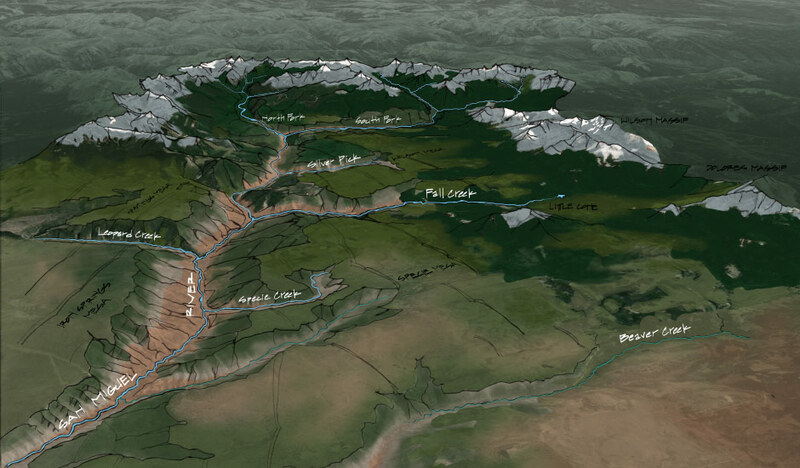 The San Miguel River is one of the few naturally flowing rivers of the West, nurturing a rare plant and animal habitat on the Upper Colorado Basin. 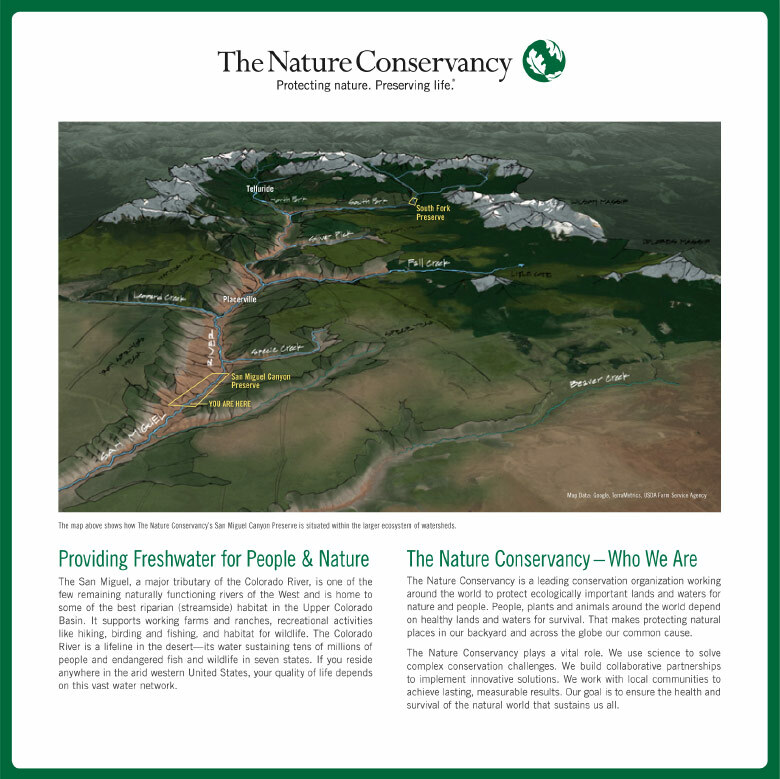 The Nature Conservancy has protected more than 30 miles of the river expanding over three primary preserves. 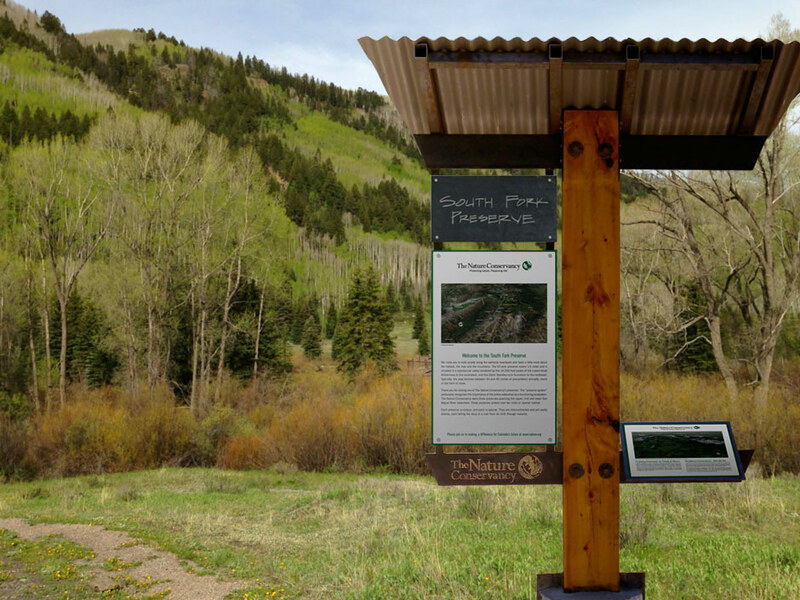 Working with Telluride-based Diamond Productions, we created a series of unique maps and signage for the kiosk stations at the entrance of each preserve for the celebration of the Nature Conservancy World Summit. The pristine landscape has remained an untouched region of dense cottonwood, blue spruce, and thin leaf alder spanning a total of 956 acres. The Nature Conservancy’s foremost concern is preserving these riverside habitats. 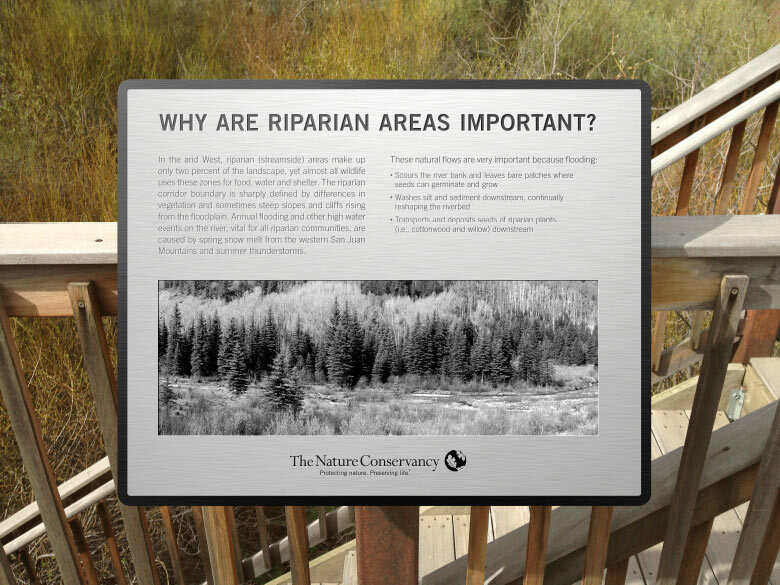 To encompass the vastness of the ecosystem we created aerial maps outlining the preserves and underscoring the importance of preservation with a collection of interpretation signage in etched, weatherproof metal. The maps themselves were a hybrid process of compositing both digital and hand drawn elements. 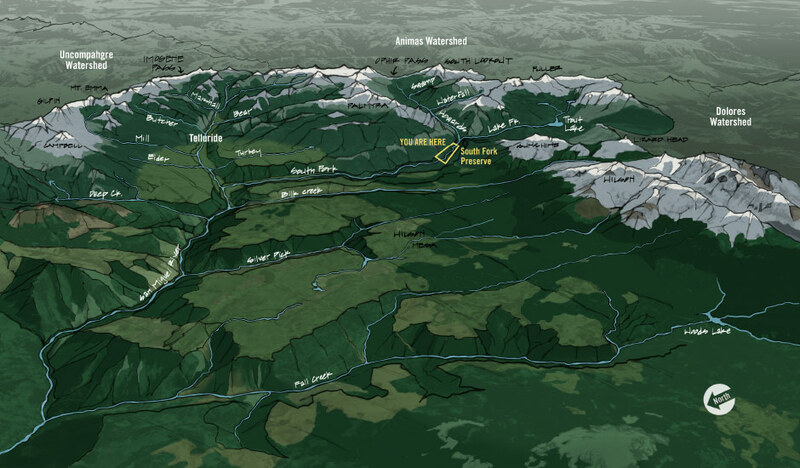 The topography features handwritten text that was overlaid on digitally painted aerial landscapes, creating a unique and accurate representation of the Nature Conservancy’s preserve system.